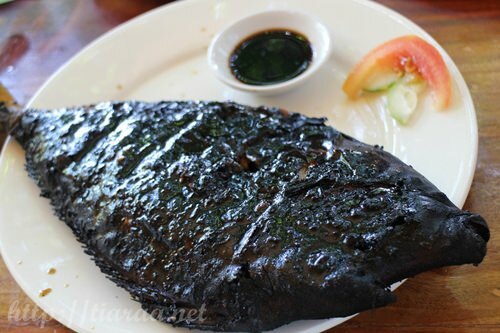 Right after our whale shark snorkeling program at Oslob, we had lunch at P&J in the Whale Shark Point. 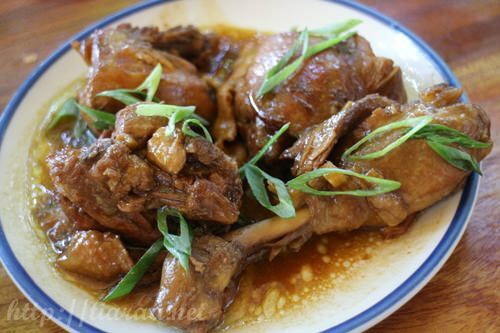 As shown above, the lunch served consists of a type of Filipino Spicy Soup (second picture), Spring Roll (third picture), Adobo Chicken (forth picture), Sergeant Fish (fifth picture) and Roasted Pork (last picture). 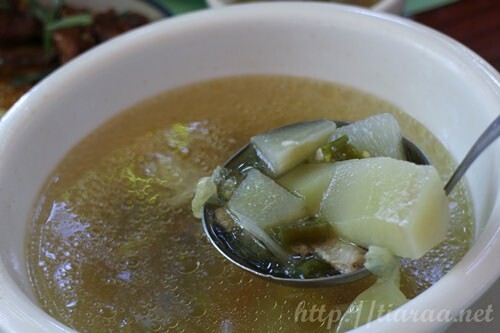 Since the sea water was very salty and we were in it for half an hour, we wanted to have a refreshing and light lunch but it turns out that practically ALL the food served were so salty! We could hardly finish the food! 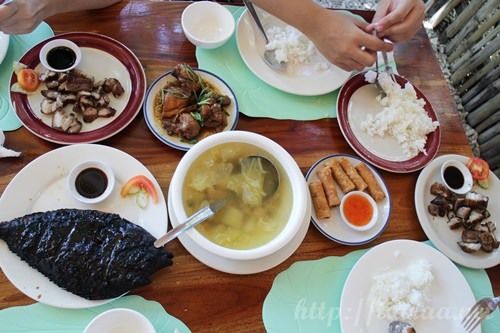 We just ate until we were more or less full because it will be another 2 hours car ride from Oslob to Kawasan Falls. 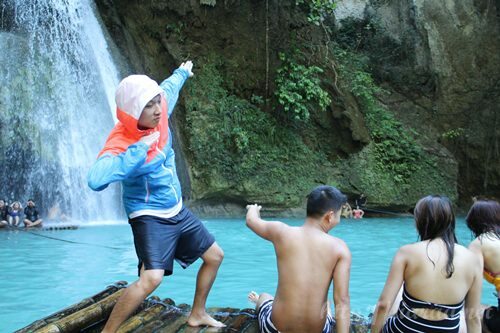 Kawasan Falls is a cascading three-layered eleven waterfalls in the mountain of Badian. It is known as the “cleanest Inland Body of Water in the Philippines.” If you noticed, the waters are turquoise blue in color and this surface river stretches from Kabukalan spring and streams towards the sea of Tanon Strait. 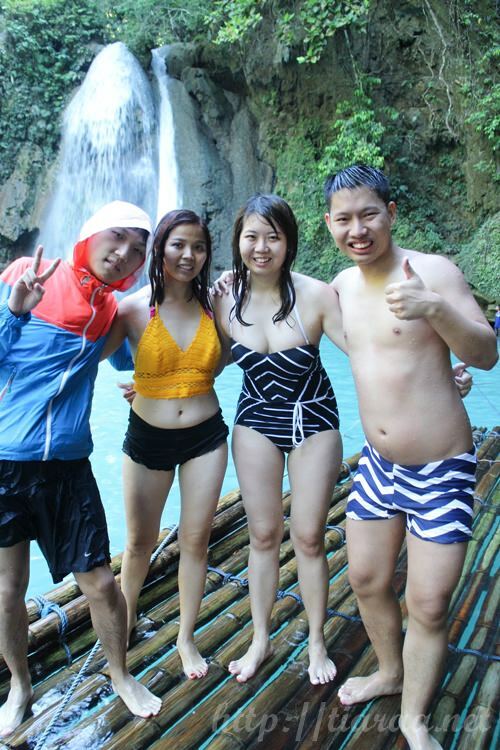 I did not managed to take many photos at Kawasan Falls because we were having so much fun. 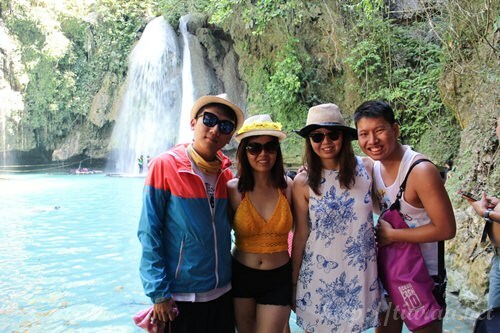 We wanted to try canyoneering but since Jun Yuan had phobia of water previously (but he has learnt swimming and can finally swim now, weee!!!) 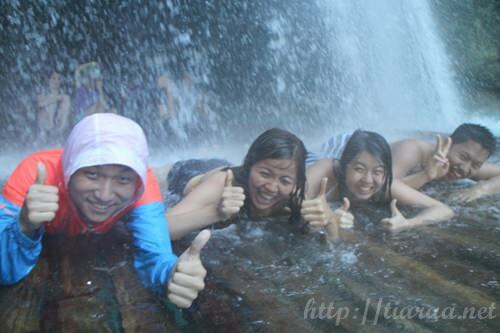 and Oppa could not swim and always proclaims his motto of “Safety First”, we decided to try rafting instead! 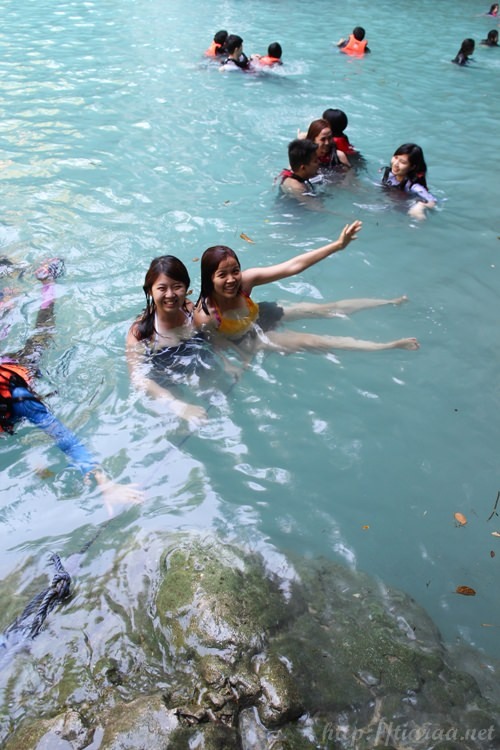 Since it was a long queue before our turn, Jia Ling and I decided to take a dip near the waterfall and swim first. Then, when it was finally our turn, we had to prepare because we saw and hear how other teams screamed under the pouring waterfall. I was shocked that Oppa is not enthusiastic in trying all these activities but he was the most excited as we were approaching the waterfalls. Needless to say, we were screaming away when we were under the waterfall. The guide informed us to lie flat on our front in order to enjoy the “massage” to the maximum. We felt so victorious right after! Rafting costs an additional 300 pesos (SGD$7.58 / USD$5.68) per pax on top of our Tumalog Falls / Whaleshark swimming / Kawasan Falls package (7350 philippine pesos for 4 pax). 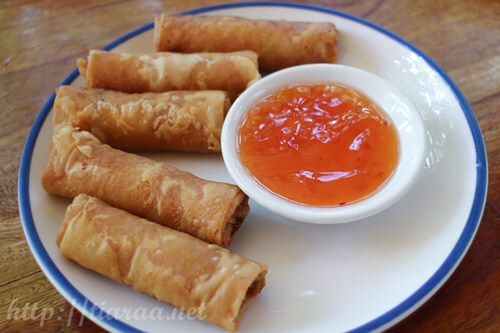 I think is very reasonable because if you have done this in the Western countries, it would cost a bomb! It was an enjoyable time with the double trouble sharkies and the entire day’s activities strengthen our bond even more. 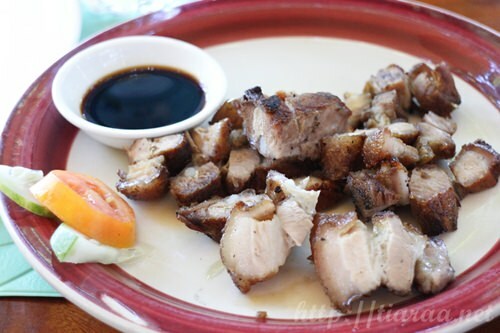 Thank you Island Trekker for the amazing day trip itinerary!